Equity and justice are the foundation of the Roeper Philosophy as described and defined by the school’s founders, George and Annemarie Roeper. Diversity, inclusion, equity and justice are not standalone concepts that pay lip service to current trends in contemporary culture. Rather these values are integral to everything we do at and for the school. We value the voices of all members of our community. We continue to work at creating an environment that is safe and welcoming to all- a place where everyone feels represented and heard. Roeper recognized for its diversity and as one of the best schools in the state. Click to read more. Diversity Day is planned by the student diversity groups with faculty advisors and provides experiential programming to raise awareness of the many facets and benefits of diversity. Experts and leaders of Metro Detroit Diversity Initiatives and Organizations, along with faculty and students, provide workshops from which students choose to gain exposure to issues about Arab relations, the LGBQT community, racial bias in the courts and prison system, sensitivity to the challenges of physically disabled people, and many more. Roeper understands that underserved African American and Hispanic/Latino children are two to three times more likely to drown than Caucasian children due to lack of exposure to water and swimming lessons. 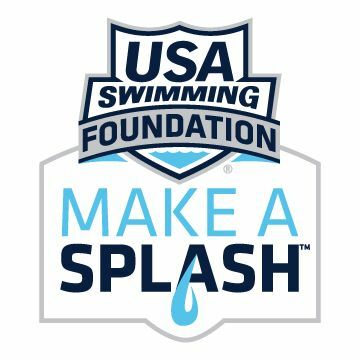 To help fill this dangerous gap, Roeper has partnered with the USA Swimming Foundation each summer since 2010 to offer the nationally recognized Make A Splash program to Wayne, Oakland, and Macomb county to children aged 3-14 years old. The one week program provides a daily one hour lessons at a nominal charge. In its first eight years of service, the program has provided swimming lessons to over 600 children. This annual event, open to the public, is an evening devoted to celebrating the life and legacy of Martin Luther King, Jr. This event has taken place at the Bloomfield Hills Campus in the Martin Luther King, Jr., Domes for the last 30 years. Students from the diversity group, UMOJA, take the lead every February to highlight the accomplishments of different African Americans with the use of posters, videos and other media. In March 2006, the Diversity Film Series began. Members of the school diversity committee saw a film festival as an ideal way to showcase a wide range of writers, directors, actors and stories that celebrate diversity as well as an outreach to communities beyond Roeper. Past films have included The Cleaning Lady, The Grace Lee Project, Detroit Unleaded and Shalom Y’all. Films are shown throughout the year in the Acheson Theater on the Birmingham campus. Mix It Up Day began as national campaign launched by Teaching Tolerance over a decade ago to encourage students to socialize and become more comfortable with kids they normally wouldn’t engage with. Since 2013, the Student Diversity Advisory Committee (SDAC), comprised of Middle and Upper School students, has taken on a leadership role in coordinating this event. The SDAC aims to create an environment aware and engaged in diversity at the school. Maintaining a tight-knit community is an essential component to going to school at Roeper and one that can thrive when all grades interact and know each other the best they can. Similar activities take place within the Lower School community. The Roeper School has been privileged to receive the Teaching Tolerance Model School Award for 2015 and 2016. In its simplest form, SEED is a diversity educational program. The National SEED Project (Seeking Educational Equity and Diversity) takes you on a journey of self-discovery. Roeper faculty, staff and parents who have participated in this annual seminar testify that, as a result of their SEED affiliation, they listen to all voices, including their own, with widened attention. Participants handle with more confidence and competence the challenges and joys of many kinds of diversity found in their own lives, in the lives of others, and in the natural world. There is an “inside-out” approach taken by individuals in the SEED program. It is reflective in nature, causing each of us to look at our own identities, often illuminating how our own lives have been shaped. Participants explore various facets of diversity such as race, gender, sexual orientation, abilities, exceptionalities, ethnicities, class, etc., through activities, film, conversation and other resources. Activities are structured to provide a framework within which complex issues can be discussed.